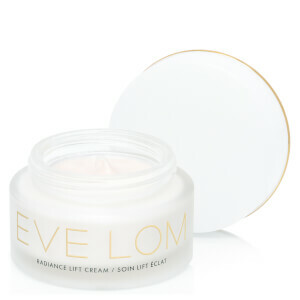 Achieve a radiant and even toned complexion with the Eve Lom White Brightening Cream; a deeply hydrating and conditioning formula containing rose otto oil to increase skin suppleness and help reduce redness and fine lines. 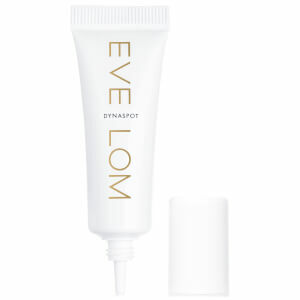 Ideal for dry, sensitive and mature skin, the luxurious and lightweight cream soothes and nourishes tired-looking skin. Dermapep™ corrects pigmentation and Chinese root extracts rebuild and restore the dermis to defend skin from pollution and UV rays. A triple action moisture complex with sodium hyaluronate and allantoin increases collagen production and elasticity. Skin will feel comfortable and calmed with revitalising aloe vera. E.N. Directions for use: Apply a small amount to face and neck at night after cleansing. Gently rub in using circular movements until absorbed into skin. Aqua (Water), Dimethicone, Propanediol, Caprylic/Capric Triglyceride, Polyglyceryl-6 Distearate, Crambe Abyssinica Seed Oil, Glycerin, Divinyldimethicone/Dimethicone Copolymer, Betaine, Phenoxyethanol, Cetearyl Olivate, Jojoba Esters, Astragalus Membranaceus Root Extract, Bupleurum Falcatum Root Extract, Sorbitan Olivate, Atractyloides Macrocephala Root Extract, Butyrospermum Parkii (Shea Butter), Glyceryl Stearate SE, Allantoin, Cetyl Alcohol, Polyglyceryl-3 Beeswax, Sodium Acrylate/Sodium Acryloyldimethyl Taurate Copolymer, Glyceryl Dibehenate, Carbomer, Tribehenin, Sodium Hyaluronate, Isohexadecane, Ethylhexylglycerin, Tocopherol, Glyceryl Behenate, Sodium Hydroxide, Aloe Barbadensis Leaf Juice, Acrylates/C10-30 Alkyl Acrylate Crosspolymer, Disodium EDTA, C12-13 Pareth-23, C12-13 Pareth-3, Polysorbate 80, Rosa Damascena Flower Oil, Citronellol, Methyl Undecenoyl Leucinate, Geraniol, Linalool, Eugenol. Skin: Normal. Not sensitive nor acne prone. Issues: Hyperpigmentation on cheeks. Does get dryer in sudden cold snaps. Age: 30 I didn't like the smell of this product however if it worked I would have put up with it. I did not feel that this cream fully moisturised my skin so I had to use another product (Armani Crema Nera) on top! As for the brightening... Well nothing has been evident. I have been using this for around 6 weeks so the brightening might take a while longer for the stubborn hyperpigmentation on my cheeks. That said, as it doesn't hydrate I won't repurchase. It creats a moisture feel for my skin for all day. I love the calming rose smell that this cream has, and its texture is soft and light, making it suitable for day and night use. Skin feels instantly brighter and moisturized. Would definitely recommend it and repurchase. I love all things Eve Lom. And this is no different. It's so lovely on the skin and my skin feels smoother since using it.